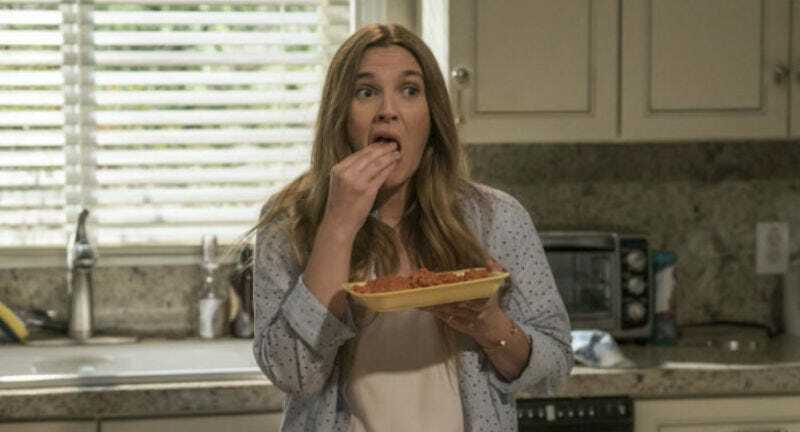 Drew Barrymore has a new show coming to Netflix on February 3 called Santa Clarita Diet. Exactly what type of diet that title refers to had previous been a mystery. Now we know it refers to human flesh. USA Today reveals that the show is actually about Barrymore’s character dying and slowly developing a taste for human flesh, all while maintaining her relationship with her husband and daughter, and keeping up with her suburban Californian real estate business. But, this is not merely a horror show. Horror is just one aspect of it. Timothy Olyphant (Justified) plays Barrymore’s husband, and Nathan Fillion (Firefly, Castle) is a rival agent. The show was created by Victor Fresco, who also did the similarly offbeat Better Off Ted for ABC and Andy Richter Controls the Universe for Fox. A Drew Barrymore dark comedy in which she plays a zombie mother? That sounds pretty wonderful to us. Ten episodes of the Santa Clarita Diet will come to Netflix February 3.